Further to recent posts about the GSA WWI Roll of Honour, volunteer Vivien Lamb writes about her research, in particular the experiences of GSA students of architecture who served in WWI. My research on the Roll of Honour project looked at former GSA students who served with the RAF and the Royal Engineers in WWI and whose names appear on the Roll of Honour. I am a former student of The Glasgow School of Art, and studied architecture there in the 1980s. My research was not originally intended to be about architects but coincidently it turned out that most of GSA students I researched have also been students of architecture. I think probably their skills were thought to be very useful for the technical skills required for the RAF and the Royal Engineers and they were probably encouraged to join these regiments. Thinking back to the youthful enthusiasm of my fellow students in the 1980s, it seems incredible to imagine a similar group of young men seventy years earlier having their studies interrupted by the horrors of WWI and sometimes never returning. Some of the individuals I researched, as well as having distinguished war services, also went on to have distinguished architectural careers. Some went on to use to their skills appropriately in the design of war memorials. Arthur J S Hutton commenced his studies in Architecture at the GSA in 1910 under Eugene Bourdon, following the career path of his father and brother who were both architects. He was a talented student winning medals, the Haldane bursary and travelling scholarships. 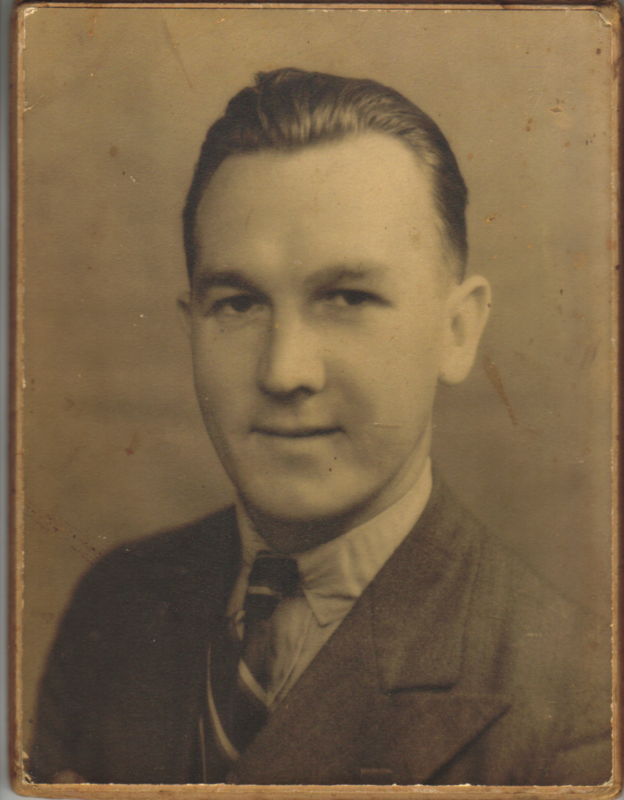 From 1914, he served with the Royal Engineers in France, supervising and designing buildings required for the war including hospitals, camps, bakeries and halls. He retired from the Royal Engineers as Captain in 1919. 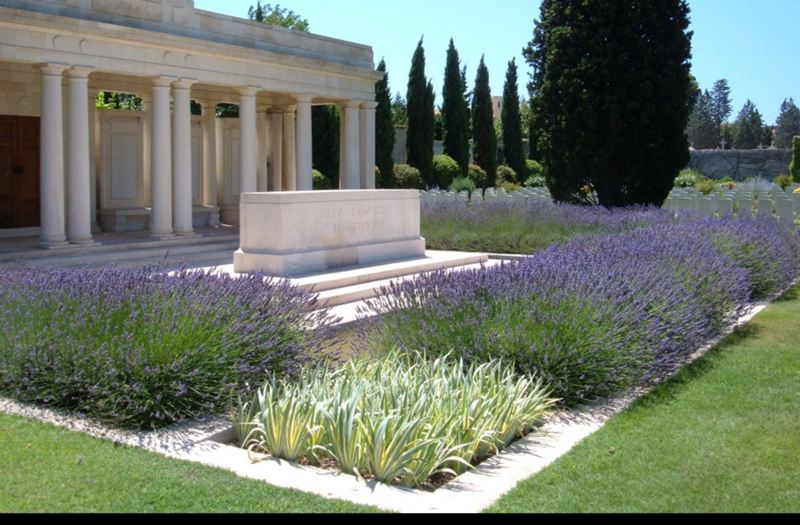 He was immediately appointed as architect to the Imperial War Graves Commission and went on to work in France, Belgium and Germany, under eminent architects, Sir Herbert Baker, Sir Reginald Blomfield and Sir Edwin Lutyens to execute their designs for British military cemeteries. He also assisted fellow Scot and renowned architect Sir Robert Lorimer on cemeteries in Germany including Cologne, Hamburg, and Berlin. Hutton was also responsible for the design of the Memorial at Arques-la-Bataille near Dieppe, to commemorate those who served with the South African Native Labour Corp. He also designed sixty-seven cemeteries including the beautiful Mazargues Indian Cemetery in Marseilles, and Longueval and Fricourt Cemeteries in the Somme area. The WWI cemeteries were designed by a small group of architects and it may well be the case that GSA students who did not survive the war lie in cemeteries designed by Hutton, a fellow student. Later in his career Hutton worked in Kenya, Singapore and Malaya. He died in 1982, just one year before I started my own studies at GSA. Another GSA architecture student who served in WWI was Thomas Peach Weir Young. Young was also a talented student and studied at GSA between 1909 and 1914 while serving an apprenticeship with a Glasgow practice. He served with the Royal Flying Corps, the air arm of the British army before it merged with the Royal Navy Air Service in April 1918 to form the RAF. After WWI, Young returned to architectural practice becoming a partner with Jeffrey Waddell and Young, often working on religious buildings mainly in the Glasgow area. One church project, the St. Andrews Church of Scotland, was further afield in Ixelles, Belgium. 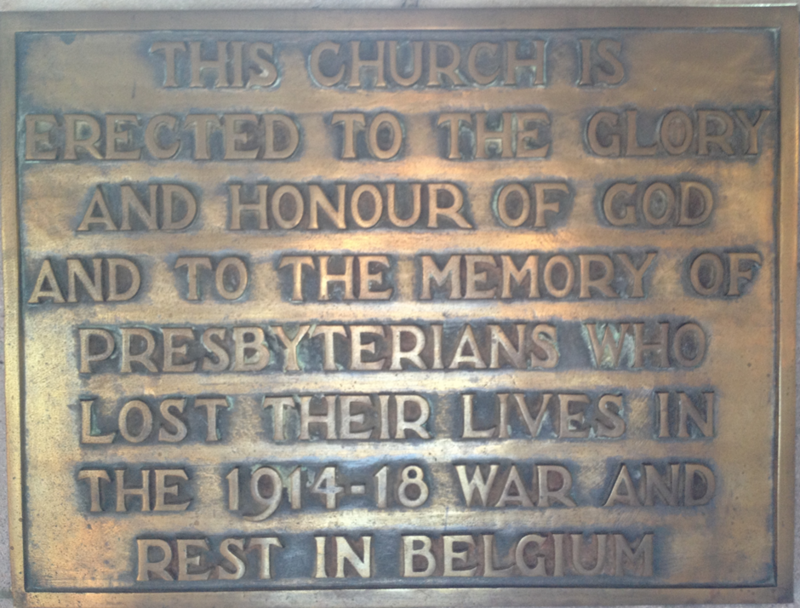 The church was built in 1925 as memorial to the Scottish Presbyterian soldiers who died in Belgium in WWI and still has an active congregation today. 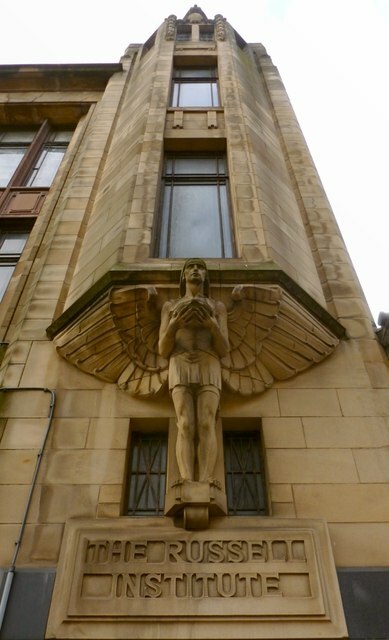 One of the better known architects listed on the Roll of Honour is James Steel Maitland, particularly known for buildings in Paisley including the wonderful Art Deco building, The Russell Institute, currently undergoing a refurbishment. Perhaps not so well known is that after the outbreak of the First World War, Maitland went to Ithaca, New York to learn to fly and returned to Britain to join the British Royal Naval Air Service. He flew seaplanes and flying boats, mainly on reconnaissance and submarine patrol work over the English Channel. By the end of the war he was an instructor reaching the rank of Flight commander and was awarded the Air Force cross for his services. Other students who studied architecture had completely different career paths. Robert Cruden Rodger studied architecture from 1912-1914 before going on to have a very distinguished war service. He was awarded the Distinguished Conduct Medal and also the Military Cross. Rodger served with the Royal Field Artillery in the ill-fated Gallipoli Campaign and by the end of WWI, was serving with the RAF as 2nd lieutenant. After the war, he worked with the police and subsequently as an intelligence officer travelling widely including Canada, America, Mozambique and Singapore. He settled in Bombay for a while as Chief Officer of Bombay Province and after the Second World War lived mainly in Kenya.